These 4×4 Parts and accessories from Couplemate are designed to suit most 4WD models. 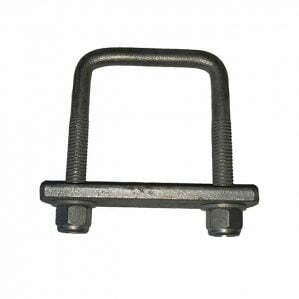 We also stock other 4WD parts and accessories, such as 60mm steel and nylon spring bushes, and greasable shackle bolts. In addition to these, we also make stainless pistons upon request (you’ll need to provide a sample). Take heart though, Couplemate delivers spare trailer parts, and spare 4WD parts and accessories, to wherever you are. Trailer couplings, rescue hooks, whatever you need, we’ll send it over to you as fast as possible. If a part isn’t in stock, we’ll find it for you and deliver it within 48 hours. Couplemate sells only the best quality trailer and caravan spares throughout Australia—covering the Northern Territory, Western Australia, South Australia, Victoria, New South Wales, and Queensland. We also ship products via Australia Post Air to New Zealand.